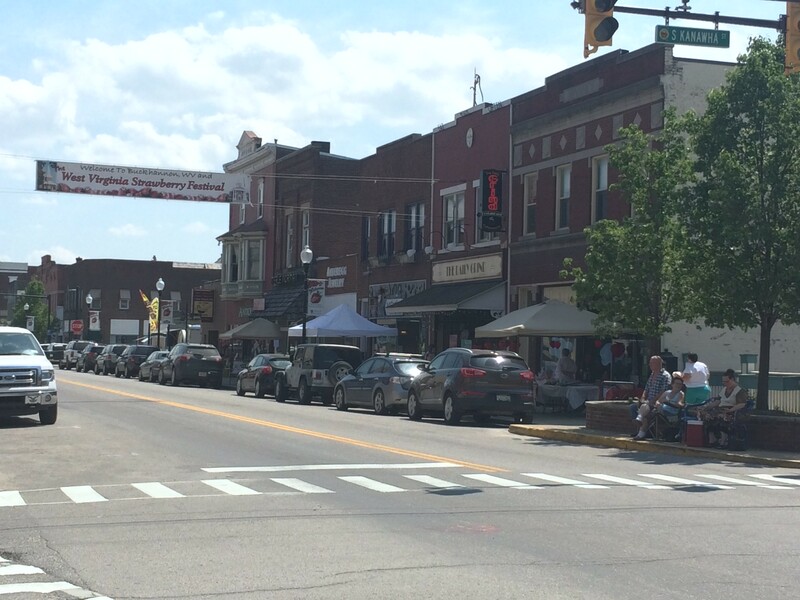 Buckhannon is the home of the West Virginia Strawberry Festival. 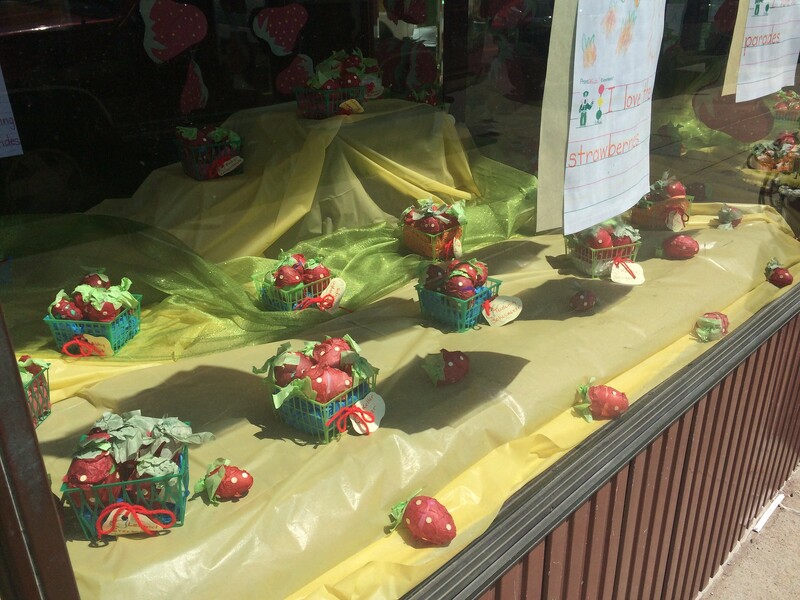 I corralled a few friends to join me for the opening day and check out all the strawberry goodies. 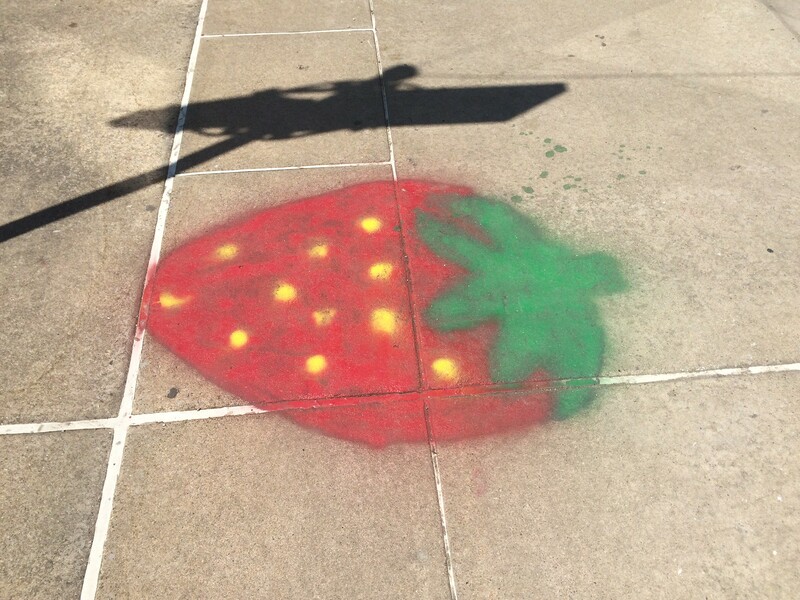 The festival, held annually in the third week of May, began in 1936 as a way to honor strawberry growers, as per their website. 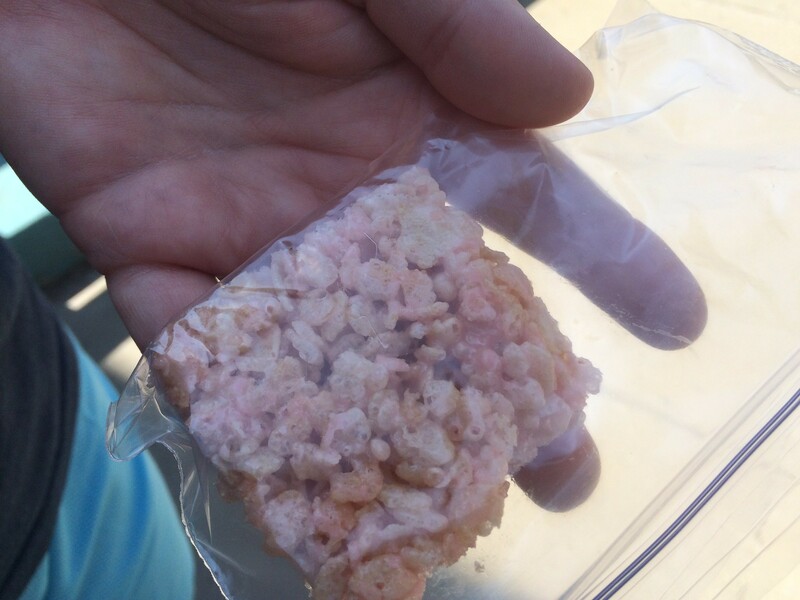 The festival gave strawberry growers a place to sell their berries and the first one was one-day long and eventually grew into a full week. 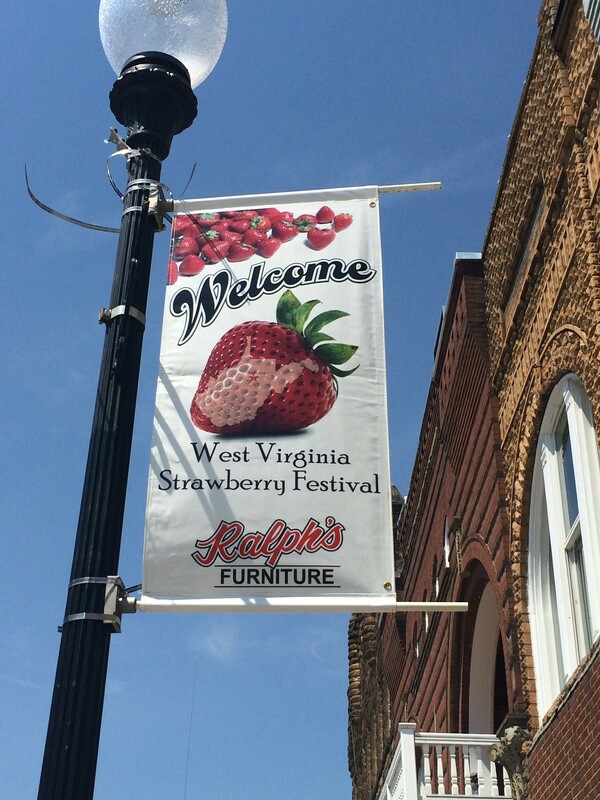 The festival continues to honor the strawberry growers from across West Virginia with a strawberry auction on Friday afternoon of the festival week. 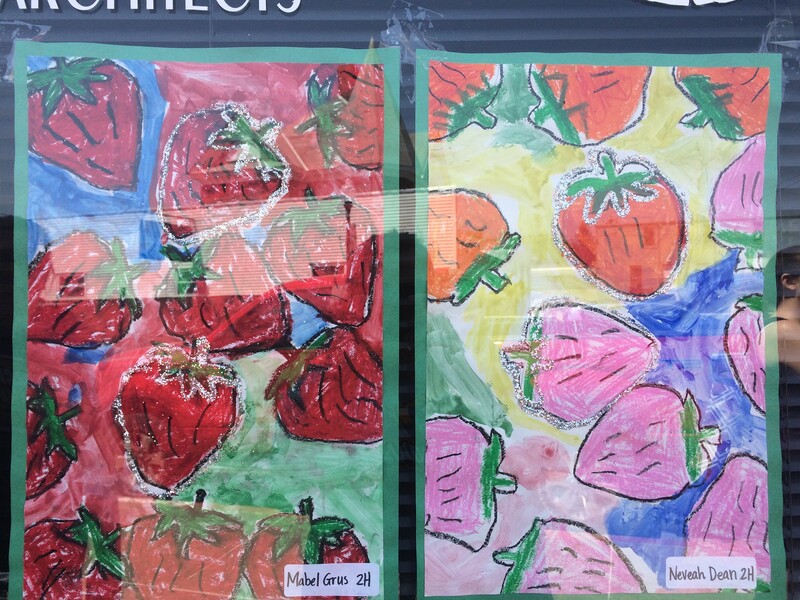 Walking through the main streets, all the storefronts were covered in painted strawberries and strawberry artwork. 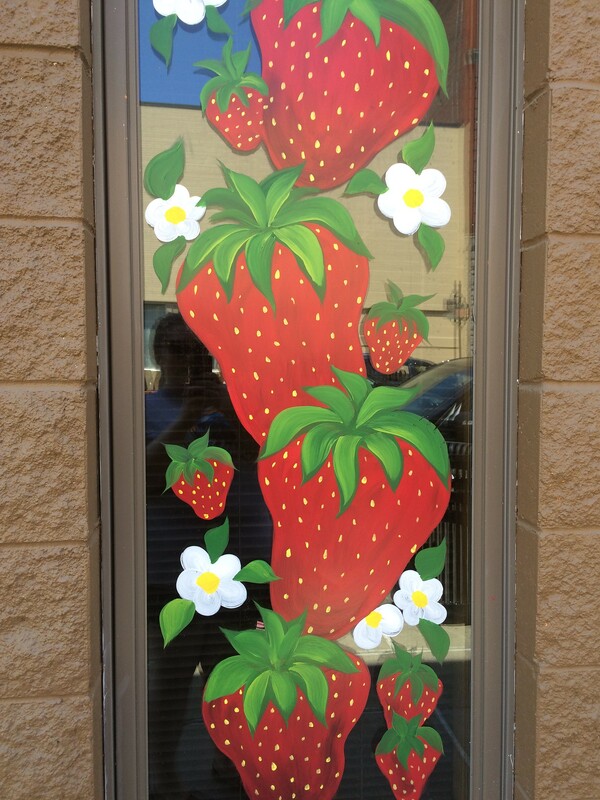 Restaurants also had strawberry specials. I quickly learned that the very first day is not the most eventual, and other events begin throughout the week. They later opened a carnival, arts and crafts exhibits, quilt shows, photography shows and more. There were a few vendors along the Main Street dishing out some strawberry goodies (though no fresh strawberries) and some street side entertainers. 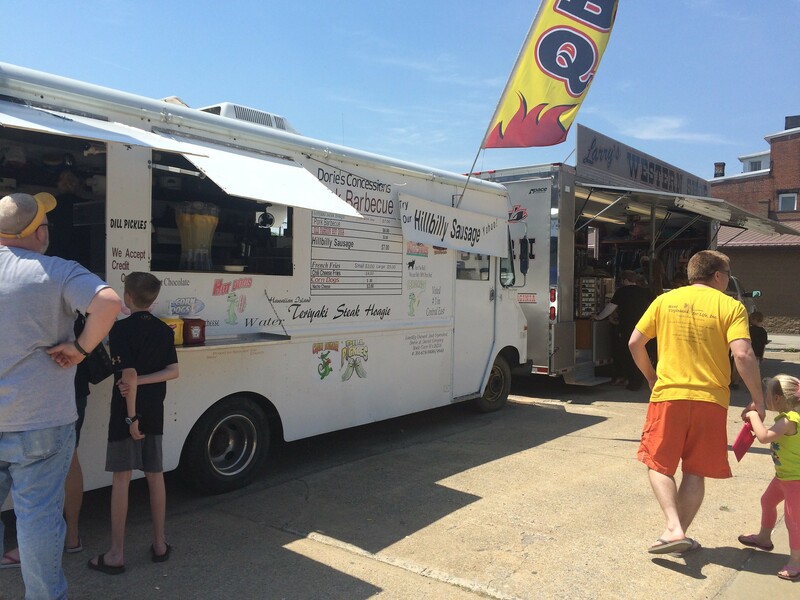 Morgantown Farmers Market - new vendors!